HikVision Cameras// Machine Vision & Video Security Lenses // RMA Electronics Inc.
HIK Vision is a manufacturer of machine vision products and solutions - which include industrial digital cameras, machine vision lenses, and accessory products. Other product offerings and capabilities include vision controllers, smart robot systems, and industrial-level UAVs. Area scan cameras include GigE and USB 3.0 output, while Line Scan cameras offer GigE output. Cameras use the latest sensors from a variety of sensor manufacturers. Note on HIK Vision Camera Pricing: Due to contractual arrangements between HIK Vision Robotics and RMA Electronics, we are not currently permitted to display pricing online for HIK Vision Robotics cameras. Add to Shopping Cart to view individual prices or contact us directly for this information. MV-CH250-20TM-F-NF HIK Vision 25MP Monochrome Camera, 5120×5120, 4.5um, PYTHON 25K 23mm x 23mm CMOS, Global Shutter, 40fps Mono8, Dimension: 74mm×74mm×113mm, Lens Mount: F-Mount with Cooling Fan New! MV-CH250-20TM-M58S-NF HIK Vision 25MP Monochrome Camera, 5120×5120, 4.5um, PYTHON 25K 23mm x 23mm CMOS, Global Shutter, 40fps Mono8, Dimension: 74mm×74mm×78mm, Lens Mount: M58 x 0.75 with Cooling Fan New! 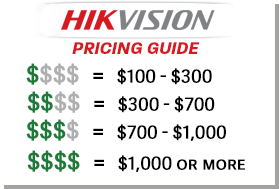 Note on Hik Vision Camera Pricing: Due to contractual arrangements between Hik Vision and RMA Electronics, we are not currently permitted to display pricing online for Hik Vision products. Please contact us directly for this information.